Margaret Howland celebrates 50 years as a Presbyterian minister. 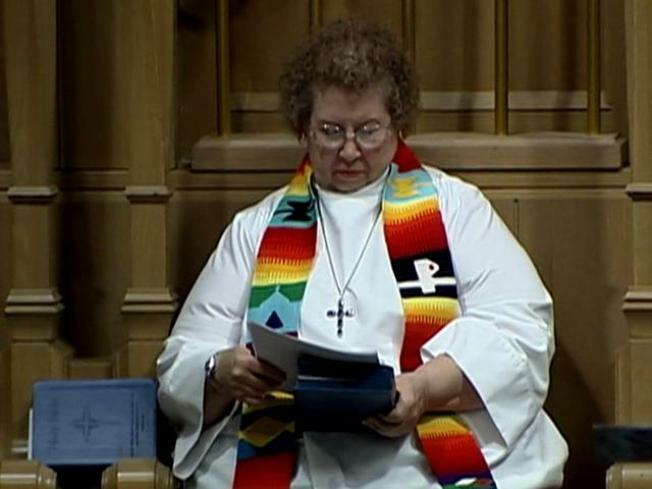 Margaret Howland was just 25 years old when she became the twelfth woman to be ordained a Presbyterian minister – and half a century later, congregants from New York and across the country are gathering to honor her for her contributions. Howland, who was formerly an assistant minister in Brooklyn’s Bay Ridge, recalls how hospital staff laughed when she told them she was visiting a patient and that she was the person’s minister, reported The Journal News. That all changed while she was attending the University of Pennsylvania, planning to earn an advanced degree in biblical studies and then work as a missionary overseas, according to The Journal News. But a university chaplain suggested she try ministry – and although women weren’t really accepted as ministers, it would happen eventually, and at that moment, churches were sprouting up across the nation and ministers were in demand, The Journal News reported. Howland completed her first year of seminary school in 1956 – the same year the Presbyterian Church in the United States said it was OK for women to be ordained, the paper reported. "Even when I finished the first year, I couldn't see myself as a minister," Howland told The Journal News. "But the first time I preached on a Sunday morning, in British Columbia, I really, truly believed that it was God's idea that I be a minister. I realized, 'This is where I belong. This is what God has been leading me to do.'" But even after she was ordained, it was tough to get an interview – much less a job – for any top positions in the area, the Yonkers resident told The Journal News. Howland worked part-time jobs for awhile before the Woodside Presbyterian Church in Troy designated a new nominating committee chairman who called Howland in for an interview and eventually gave her a job as the first female minister of a Presbyterian church with more than 200 people, according to The Journal News. Howland told the paper that male pastors had a tough time accepting women in the profession, but after time – leading prayer, sacraments, funerals and weddings – they saw what she could do. "I made the mistake of believing the superwoman thing," she said. "You always think you have to do things better and be perfect. It took its toll. Thank God, I finally learned that I could ask God for help." No one doubts Howland anymore, least of all Howland herself. And knowing how tough it is, she’s advocated for female clergy ever since. Howland retired from full-time ministry in 1998, according to The Journal News. Those who have been inspired by her role modeling and fight to be accepted as a woman minister in the world before the women’s liberation movement are honoring her courage on the 50th anniversary of her ordainment. Howland has helped lead the International Association of Women Ministers and is a board member of the New York Religious Coalition for Reproductive Choice, which supports a women’s right to choose. Howland has been an advocate of abortion rights since before Roe v. Wade made abortion legal, according to The Journal News.